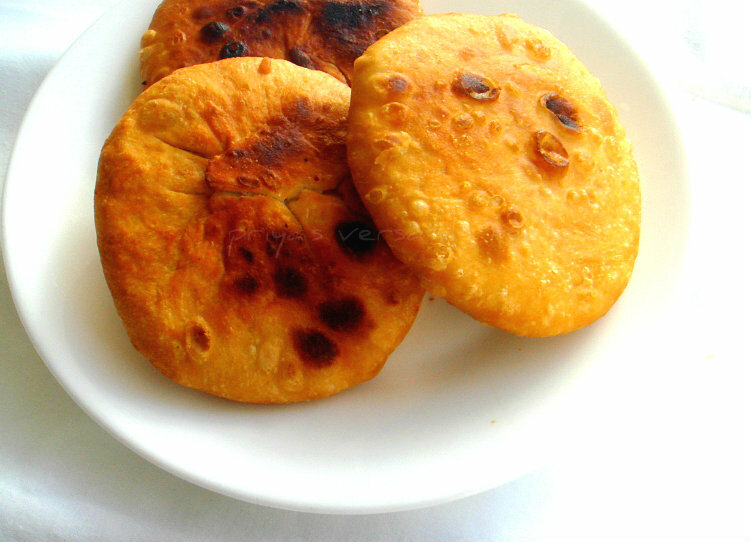 i love kachori :) but never tried muttar filling..
super tempting snacks,love the filling!! Tempting and delicious.. Love the click. Wow! fantastic! i never made these. looks great priya! i love Kachori...this looks very yummy.. I think i should borrow your family for cooking, youmake so much variety of dishes, i don't have anyone to eat the things i want to make. Whenever we visit pune...taste kachori with sweet tamarind and mint chunteys and always afraid to try it at home. bookmarking it to try. very detailed explanation priya. My favorite Kachori. Looks yummy. Nice one Priya..I couldn't do this one too..
kachoris look insanely good! drooling here! Wow looks awesome,perfect and tempting. Delicious mattar ki kachori Priya. love to have with my tea. I have only bought from store this one, sounds a good challenge! Perfect snack. The filling would have been delicious. Yummy Kachori's.. I have never tried these..
Yummy and filling snack perfect for coming cold days. I can eat more than 5 of these easily... Yum! Yummy matar ki kachori, my fav one, very delicious. loved thi ..so crisp and delicious..loved the spicy filling!! Our family's favourite snack:) Tasty stuffing! !